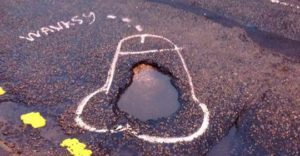 From Bored Panda: After another cyclist friend was injured by potholes, Wanksy, an artist from Greater Manchester, England, decided to act. He used washable paint to draw penises around potholes in his neighbourhood, and suddenly, they were repaired in 48 hours. “People will drive over the same pothole and forget about it. 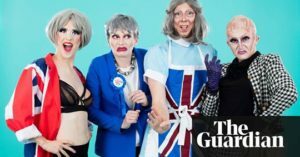 From The Guardian: “Theresa was the obvious baddie. It was 2016, just after Brexit and the departure of David Cameron. I thought: ‘We finally have a real Conservative villain.’ She’s very Dickensian, there’s something of Scrooge about her. I could picture her creeping up the stairs, candle in hand, swiping coal off people. 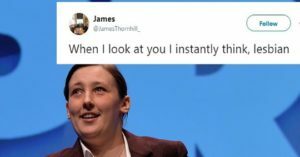 “As time has gone on, I think she’s weakened, what with all the U-turns. Now I play her as a more subservient character, a very shaken woman who jumps when someone rings the doorbell. The act is her tearing herself to shreds. She’ll say something then contradict herself. The whole show is based on things she’s said and done, like allowing Boris Johnson to just walk out of the cabinet of his own accord. 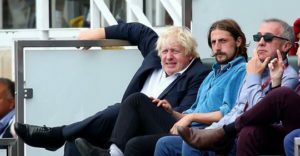 From The Independent: Boris Johnson was booed by spectators at the Oval cricket ground in south London when he was shown on the big screen during the England v India Test match. 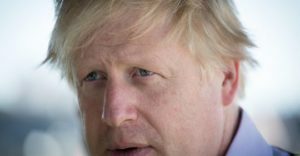 From The Independent: Boris Johnson has been ridiculed by the President of Kenya, who appeared to feign forgetting his name and then referred to the former foreign secretary as “the bicycle guy”. Video from ITV News: Theresa May, er, joins in with the dancing during a visit to a South African school. 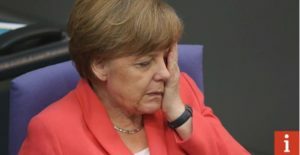 From i News: The Government’s Brexit white paper was translated into 22 languages – only to receive a hail of criticism and confusion from native speakers who noticed strange, obsolete or even made-up words. From Business Insider UK: President Donald Trump said he felt “unwelcome” in London after its mayor, Sadiq Khan, permitted a 20-foot-tall angry “Trump Baby” blimp depicting him to be flown during Trump’s UK visit. 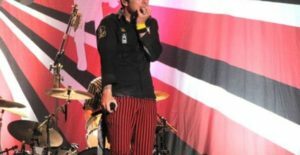 From The London Economic: Green Day’s American Idiot has moved into the top 20 in the UK charts ahead of Donald Trump’s visit to the country this week. 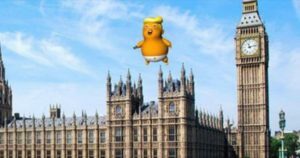 The President is set to arrive in London on Thursday and will be welcomed with hostile crowds and a Trump baby blimp in the skies. But protesters look to have gone one step further by launching a concerted campaign to get American Idiot to the top of the music charts. Through a combination of purchases and streams, the song has risen to No. 1 on the Amazon sales chart, cracked the iTunes Top 10, and sneaked into the Top 20 singles chart as well. 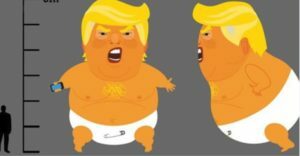 From the Evening Standard: Sadiq Khan has given his permission for a giant balloon of Donald Trump wearing a nappy to be flown over Westminster by protesters during the US President’s official visit to London. 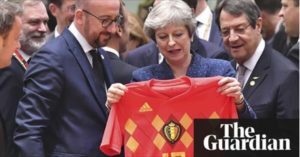 From the Guardian: At the start of a summit of EU leaders in Brussels, the British prime minister was ambushed by the Belgian prime minister, Charles Michel, who presented her with a Belgian football team top ahead of the England v Belgium World Cup game. Theresa May held up the strip, before realising that doing so might be a PR gaffe, and appeared to attempt to hide it away. Unfortunately her fellow leaders pointed to the TV monitors showing her reaction live to a packed hall of reporters. Theresa May is owned by Jeremy Corbyn, and the look on her face is highly amusing! 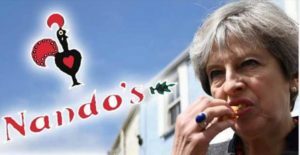 From Daily Mirror: The Tory party is so desperate for members it considered offering people who join up a Nando’s discount, according to reports. From Evolve Politics: Shares in the company that owns both the Daily Mail and MailOnline have plummeted by 25% after they announced a huge £112m loss. The publications’ parent company DMGT made a profit of £202m in 2016, but said that ‘challenging conditions in some of our sectors’ had led to the huge losses incurred in 2017. And, in a stark warning for the paper’s long term future, the company added that they expected 2018 to be just as tough. From Cycling Weekly: An attempt by Conservative activists to promote their campaign against a new Cycle Superhighway in south-west London has somewhat backfired after a video posted online showed three men struggling to be heard above the noise of passing traffic. 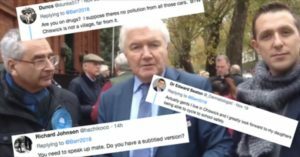 While the three men talk about how they think the segregated cycle path will “destroy the character” of the “village high street”, they are drowned out by the sound of passing cars, vans and lorries, with Cllr McGregor’s introduction also interrupted by what sounds to be a truck reversing just off camera. The video was picked up by Guardian writer Peter Walker, who said that you “genuinely couldn’t make it up”, before other Twitter users, including a certain Ned Boulting, weighed in with their thoughts on the video, also pointing out that getting more people on bikes would reduce pollution in the area and, as shown by studies elsewhere in London, provide increased trade for local businesses. From BuzzFeed: “The Conservatives have been forced to come up with a new social media strategy at their annual party conference. 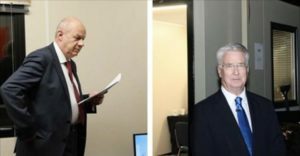 “Unfortunately for their electoral prospects, this involves paying to push candid mobile phone pictures of middle-aged Cabinet Office minister Damian Green holding a piece of paper into the public’s Instagram feeds. From Huck magazine: “Welcome to Activate UK”, read their first Tweet posted yesterday evening, with #activateuk #meme #retweet #rt thrown in for good measure. 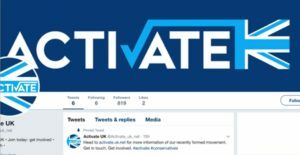 It’s not just the embarrassing hashtags that suggest whoever is behind the social media operation here is doomed to fail from the offset, anyone with a grip on social media could tell you the their handle (@Activate_uk_net) with its double underscoring is truly an awful choice. 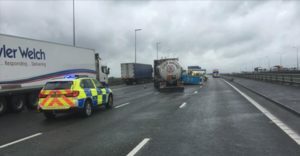 From The Independent: Social media users mocked the Tories’ “strong and stable” slogan after a party advertising van overturned on a windy motorway. Nobody was injured in the accident. 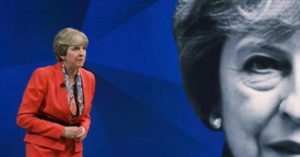 From London Evening Standard: Viewers flooded social media with GIFs mocking Theresa May for her performance during Monday night’s live TV #GE17 debate.